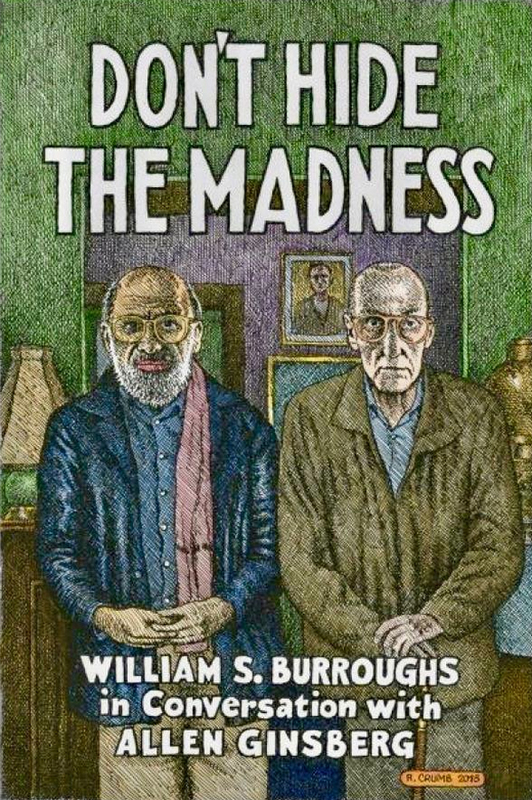 In Don’t Hide the Madness, we have Burroughs thoroughly relaxed, incredibly vulnerable, astonishingly… (how else can I say it?) sweet–and not mad at all. Besides fascinating literary gossip (like details of Gregory Corso in rehab), we hear granny Burroughs scold one of his six cats: “Fletch! Get away from the dip. Get away from the dip! Mother of God….” Or make surprising declarations: “I like to shoot, but I could never kill an animal…and a deer, good heavens, never.” Which of course brings us to that wife-shooting business. Considered by most to be an accident, Burroughs also felt the controlling presence of an evil entity that Brion Gysin dubbed “The Ugly Spirit.” The exorcism of this Ugly Spirit by Native American sweat lodge shamanism is a major placeholder in the events of this book. I recall first reading an extremely truncated version of the transcript here in 1992 and not really knowing what to make of it. Here it becomes completely fascinating, convincing and obviously a major turning point in what remained of Burroughs’ life. Also, the main genesis of the interviews is paid for as publicity for a then-soon-to-be-released David Cronenberg version of Burroughs’ Naked Lunch. However one feels about the movie (I thought it was a noble if not exactly successful experiment), it is interesting to hear what Burroughs and Ginsberg think of it. Burroughs is pretty o.k. with it, while Allen has some reservations. Frankly, the whole book is a surprising page-turner, full of hilarity and intimate asides–transcribed into an extremely readable and satisfying fly-on-the-wall of literary history. Discussions of the history of the cut-up technique Burroughs employed so famously, and the specificity of other authors’ influence (as well as those disparaged) will make both fanboy and scholar sit up straight at attention. Oh, and the R. Crumb cover portrait of Allen & Bill is magnifcent!